I am OBSESSED with the amount of plaid I'm seeing everywhere. Blazers, pants, matching suiting, plaid is everywhere and it makes me very happy. I'm especially loving the matching plaid suiting and i'm still searching for the perfect jacket to go with my plaid skirt to create this look. Once I find the perfect jacket my 'business woman from the 80's' look will be complete and I will feel like a proper boss lady. The trending color of the season is a very bold and exciting one...red! Bright colors scare me so I will slowly make the transition and start with maroon and burgundy pieces. This trend isn't new but I'll admit I'm glad it's sticking around . There's something about an exposed shoulder that's super appealing. I also appreciate that it's a trend anyone can wear...I don't know many women that self conscious about their shoulders. 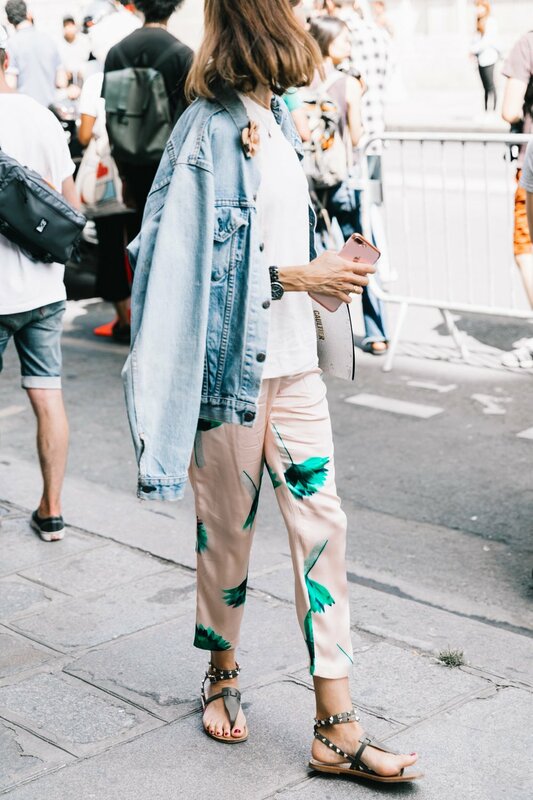 Obviously, this trend will be a bit tough to pull off as the temperature starts dropping but that's why the layering is the most exciting/import and aspect of fall fashion! Sweaters are definitely what I look forward to the most during the cooler months. I'm especially excited for sweater shopping this year because they're all oversized and extra comfy! Apart from extreme comfort, sweaters will also keep you warm and are extremely easy to style. I'm scared bright colors and most prints but I'll admit i'm pretty psyched about this trend. I've already added a couple printed skirts to my wardrobe and I'm excited to expand this mini collection. One of the pros of wearing printed bottoms is that you don't have to put too much work into the rest of the outfit because this one piece is all you need to wow everyone!